There’s no denying that the way companies did business 5 years ago is worlds apart from today’s B2B buying experience. As the sales journey becomes increasingly digital, companies can’t afford to deliver the same marketing experience to the unique individuals across different industries and accounts. 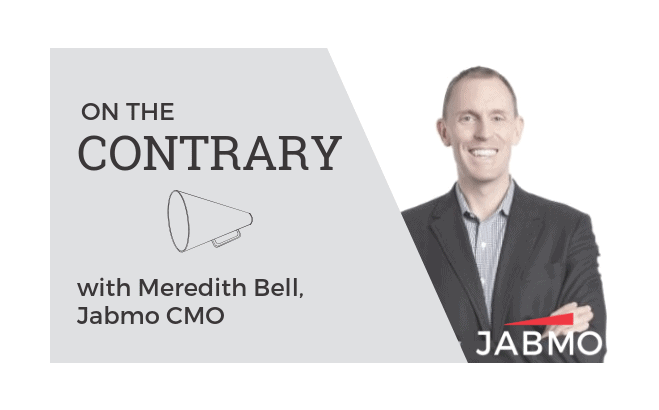 A generic marketing message has simply stopped working, and the new breed of buyers avoid sales teams as long as possible. While creating personalized marketing messages is key to addressing the undeniable changes in the market, it’s certainly not enough. Making a true impact on potential buyers requires messaging that is personal and relevant. Segmenting your audience and your messaging has been proven to more than double your engagement results. Complications from today’s B2B buying era and what they mean to marketers. Mindsets shift from product-oriented to solution-oriented. The increasing need to get known for new things. Buying changes according to Gartner. Buyers prefer less contact with salespeople. How the buying cycle changed compared to the sales cycle. Precision audience segmentation as a tool. How Precision audience segmentation delivers engagement. The concept of relevance and its importance to manufacturers. How relevance drives engagement and helps closing the deal. How to brick accounts into segments. The results of segmentation on engagement. How to be personal and relevant using the precision audience segmentation exercise.